Lotus will be bringing a new version of its Coandă exhaust system for the American GP, the team expect it to reclaim around six horsepower with the improved system. Technical Director James Allison is confident of achieving another strong result like Abu Dhabi. Kimi Räikkönen gave the team its first victory of the season in Abu Dhabi last week. 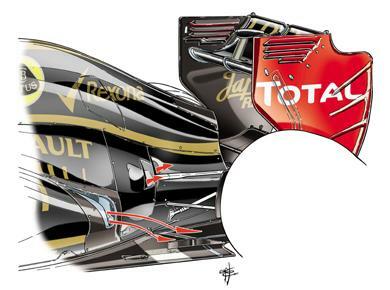 “We are still experimenting with the latest evolution of our Coandă system,” Allison explained of the exhaust. 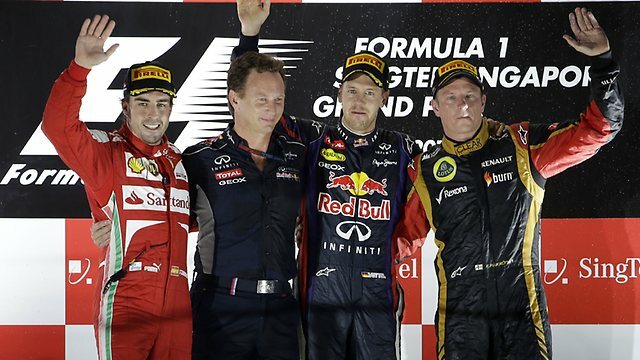 Lotus are fourth in the Constructors’ standings, trail McLaren by 30 points. 86 points are still available in the final two races to be achieved. The Circuit of the Americas has taken another step toward completion with the final layer of asphalt having been completed on Friday. The racing surface, which is the third and final layer, is a combination of materials sourced from around Texas to meet the strict guidelines set out by the FIA. Tilke engineers Oliver Liedgens and Frank Both supervised the final paving process, the culmination of four months of work, and were pleased with the results. “When we came to Austin a little over two years ago, we came to the site for the first time and all we saw was mud and trees. It was really hard to imagine that a track would sit on this piece of land and the only source of imagery that we had was a couple of renders. Today is the first time we get to see the final product and this makes us very happy,” they told the Circuit of the Americas website. Construction around the circuit is also nearing completion as the November deadline approaches. The pit and paddock is almost complete with the final interior fit-out taking place, whilst the final few seats are installed in the main grandstand opposite.